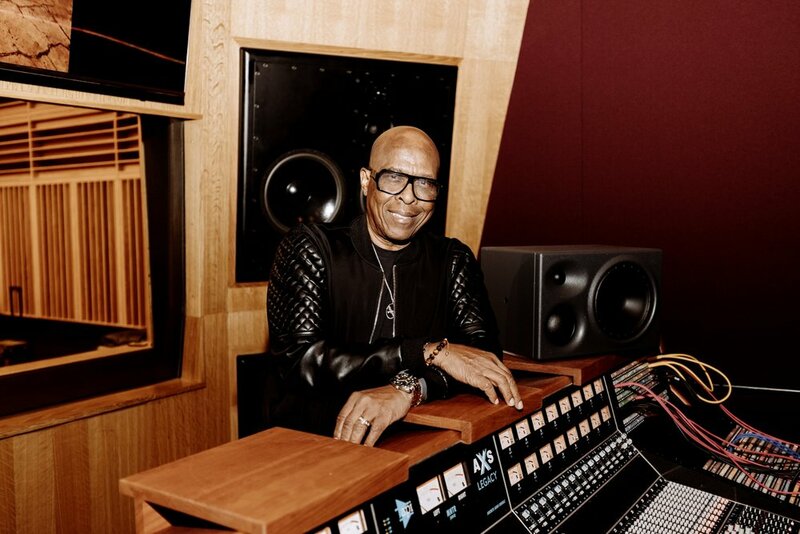 David Porter and the late Isaac Hayes penned dozens of the bedrock songs of Southern soul music — “Soul Man,” “B-A-B-Y,” “Hold On, I’m Coming,” the list goes on. Today, Porter is giving young Memphis musicians — and Bitter Southerner readers — a master class on how code-switching through music helped catalyze the Civil Rights Movement. So, here’s a question for students of the 1960s, or the 1970s, or for anyone who has heard the Sam & Dave song, “Soul Man,” and can’t get it out of their heads. The three-day counterculture celebration on a dairy farm in upstate New York that featured acts like Sly & the Family Stone, Joan Baez, and Jimi Hendrix? A school in Millington, Tennessee? Before I had a sit-down with David Porter, the legendary Stax Records producer and Memphis songwriter who penned the song along with another R&B icon, Isaac Hayes, I thought the answer was A. But for that to be close to being true, Woodstock would have needed to happen at least three years earlier. Woodstock happened in 1969. “Soul Man” was released in the fall of 1967 and sat atop the R&B charts through much of 1968. And Sam Moore and Dave Prater’s Woodstock — or rather, the one Porter and Hayes (who died in 2008) wrote about — was actually Woodstock Training School in Millington, a Shelby County town just north of Memphis. That school, like many built during Jim Crow times, prepared African-American students to work more with their hands than with their minds. Yet regardless of how people sing it, the underlying message, according to Porter, is the same. That’s because “Soul Man” and many other songs he and Hayes wrote and produced for Stax in the 1960s was written to communicate the value of African-Americans as they rebelled against a social order built on their devaluation. That message resonated in 1967, a year when race riots ravaged Newark and Detroit, and a year when the Black Power Movement was pushing black pride as the antidote to segregation and white supremacy. It also reverberated into 1968 in Memphis, when 1,300 African-American sanitation workers donned “I Am A Man” signs and went on strike, defying segregationist Mayor Henry Loeb, and others. In many ways, those strikers were Porter and Hayes’ soul men. 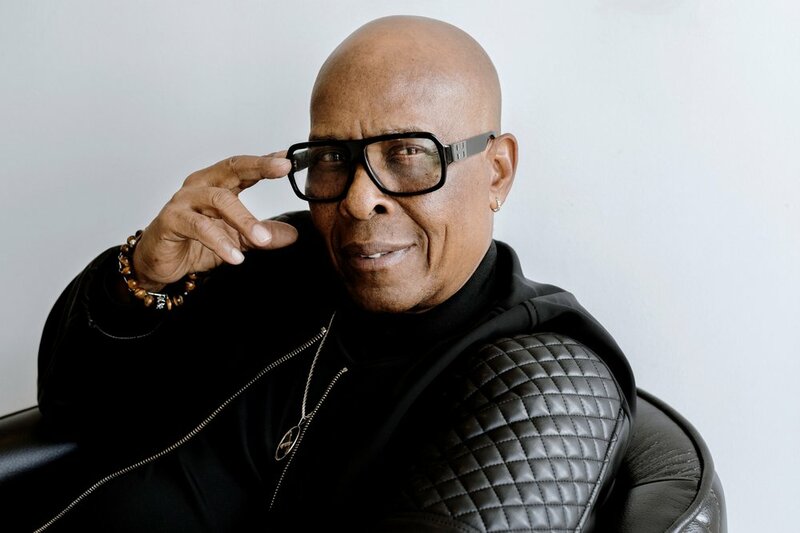 Porter says when “Soul Man” was released, the empowerment message was subliminal enough to catch the ears of African-Americans while it went straight over the heads of whites who loved the song, but not the black people behind the music. “We thought we were doing it for black people, so that message was intended to resonate with our people,” Porter says. “But that’s the powerful thing about the soulfulness of our musical contribution. It becomes undeniable if you allow yourself to listen to it. … The minute you listen to it, it breaks you down, and you’re never going to be comfortable until you can get some of it. That part about Woodstock, which Belushi and others misheard as good stock, was a Morse-code sort of thing for black men, Porter says. “We stressed getting an education. ‘I was educated at Woodstock.’ Woodstock was a school in rural Shelby County,” says Porter, who did not attend the school. “Man, I really just took you to school there,” he says. It was in the 1960s when Porter, now 76, was thrust into a place where he realized that songwriting and producing were vehicles for personal and racial uplift. After recording his first composition at Stax in 1961, “The Life I Live,” which he co-wrote with Marvell Thomas, and after recording his first single in 1965, “Can’t See You When I Want To,” Porter began to write and produce songs that would, at least subliminally, reinforce the humanity and dignity of African-Americans. Consider the Sam & Dave song “Hold On, I’m Coming,” released in 1966. “The attitude of ‘Hold On, I’m Coming,’ was rooted in the fiber and substance of a man who worked all day at a hard-labor job, as many black men did during that time, but who wanted to let his woman know that no matter what, at the end of the day, he was going to be there for her, in every circumstance” Porter says. Using music and songwriting for social uplift did, on one level, come naturally to Porter. The dirt roads and the side streets of “Soul Man” revealed flashes of his own humble origins. Then, in 1968, the Rev. Dr. Martin Luther King Jr. was murdered in Memphis. Porter recalled the mood. That year, Porter wrote the Sam & Dave hits, “I Thank You,” and “Wrap It Up.” Those songs, like the earlier “Hold On, I’m Coming,” stuck to the theme of black self-worth through the lens of black men who were grateful for, and appreciated, black women. “‘Wrap It Up'? You know where that came from? I took the thought of Christmas and I turned the thought into making the package be the love between me and her,” Porter says. Stax Records’ original studio is now a museum in South Memphis. People from all over the world come to gape at Isaac Hayes’ gold-plated Cadillac, painted an icy aquamarine, and to peruse walls festooned with 45s of hit singles like Carla Thomas’ “B-A-B-Y,” Otis Redding’s “Sitting on the Dock of the Bay,” his last hit before he was killed in a plane crash in 1967, and others. As the music-loving tourists bathe in the history at Stax, Porter is in downtown Memphis, and school is in session. On this day, his students are Porcelan, a 27-year-old sensation whose single, “Lois Lane,” this summer rose to No. 20 on Billboard’s Contemporary R&B chart, and me. In a cavernous production room in his $5 million recording studio, Made In Memphis Entertainment, on the day of the funeral of Aretha Franklin, Porter schools us about his connection to the Queen of Soul. Franklin, who died of pancreatic cancer at age 76, was born in Memphis and lived there until she was 2, when the family moved to Detroit. “Her father [the Rev. C.L. Franklin] was here in 1942 and 1943,” Porter says. “My father died in 1943, when I was two years old, and her father preached his funeral.” Porter says he had no clue he and Franklin would connect on another level as adults – when she recorded three songs he and Hayes wrote. Porcelan, a 27-year-old sensation whose single, “Lois Lane,” this summer rose to No. 20 on Billboard’s Contemporary R&B chart. Franklin’s version of “Hold On, I’m Coming,” recorded in 1981, won the 1982 Grammy for Best Female R&B Vocal Performance. Porter's is now producing Porcelan and singers Jessica Raye and Natt Michael for Made In Memphis Entertainment – his effort to pick up where Stax left off in providing a place for talented Memphis artists to record, produce, and perfect their work. Another brainchild of Porter’s – the Consortium MMT – is a nonprofit that helps young people develop skills in songwriting, producing, and recording. “This was developed to make sure that the Memphis musical legacy we had back in the day would be passed on,” Porter says. That’s important to Porter, who got his break because Stax was in his neighborhood, and Estelle Axton, its co-founder, nurtured his interest in singing and songwriting. So, is there any message in a song about a couple cruising? Then again, in these times when a black couple riding in a car with tinted windows might be stopped and profiled by the police, maybe a song like “Let’s Ride Out” can convey a smidgen of what Porter and Hayes’ songs conveyed back in the day: the humanity and value of African Americans, which shines through in the humblest and even the most oppressive circumstances. Those values will invariably find their way into whatever lessons Porter might be teaching. Tonyaa J. Weathersbee has won multiple awards for her journalism. She was born and reared in the South and spent most of her career in Jacksonville, Florida, as a columnist for The Florida Times-Union. She also holds graduate degrees in mass communications and Latin American studies from the University of Florida. Now the metro columnist for The Commercial Appeal in Memphis, Tonyaa has been on a mission to connect the music and Civil Rights Movement that shaped her childhood to the places and people behind it. Houston Cofield is a photographer and artist living and working in Memphis, Tennessee. He received his MFA in photography from the University of Illinois at Chicago, and his bacherlor’s degree in journalism from the University of Mississippi. He is a fourth-generation photographer, all of whom have photographed the American South. Earlier this year, Weathersbee and Cofield collaborated on “One Night on the Mountaintop” for The Bitter Southerner.